Table Maker isn’t quite as popular as TablePress yet, but it’s quickly gaining ground. It lets you create a variety of tables, from comparison to spec tables. All the tables created by Table Maker are responsive, so they’ll look great on any device. And the plugin lets you emphasize certain rows or columns to draw readers’ attention (see the example above). This can help you push readers towards your preferred products/services. Table Maker also works with shortcodes and makes it easy to upload and insert images in your tables. Go Pricing is a premium plugin for creating beautiful comparison tables. Though it shines with pricing tables, you can use Go Pricing to create any type of comparison table. Go Pricing includes 250+ table templates to help you get started without needing to begin from scratch. Shortcodes to easily add tables anywhere. Go Pricing costs $25 at CodeCanyon, and has 7,400 sales with a 4.6-star rating. If you need comparison tables for your WooCommerce store, you’ll love this free plugin. 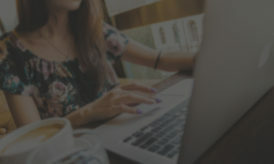 YITH WooCommerce Compare allows users to create comparison tables based on specific product attributes that you select. 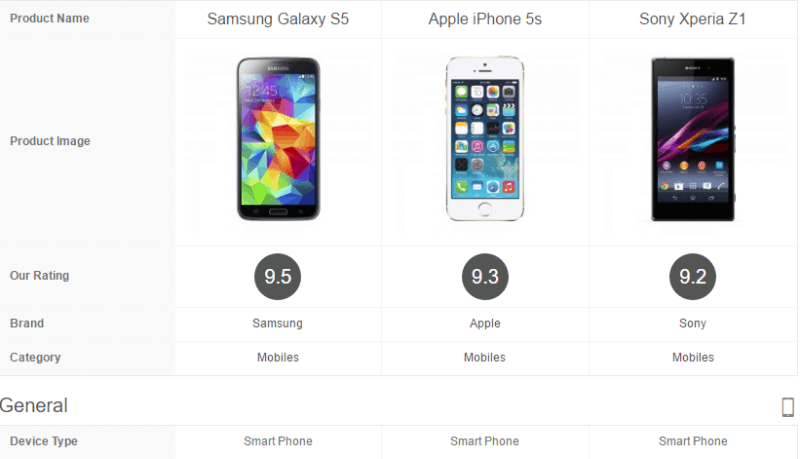 Users just need to click a “Compare” button on the product page to see how the product stacks up against others. You can customize the comparison tables’ designs, though you will need to know some code to accomplish this, as it’s not easily done from YITH WooCommerce Compare’s interface. wpPricing Builder is another premium plugin that’s focused on creating (mainly) pricing tables. It comes with over 25 pre-made templates to get you started. The plugin’s interface lets you easily set up product attributes, columns, and styles. And the color theme generator helps you create good-looking tables even if you’re not a designer. The plugin also includes Font Awesome icons to round out this great set of features. Here is a video demo of this mildly popular WordPress Responsive Pricing Tables plugin. wpPricing Builder costs $18 at Code Canyon. Pricing Table by Supsystic is a well-made, free plugin that lets you create both pricing and comparison tables. The plugin includes a drag and drop builder so you can create tables without needing to know any code. You can use unlimited columns/rows, and add tooltips wherever needed. You can style buttons, text, and custom CSS to make sure your tables look perfect. And you can even include videos or images in your pricing tables. The ability to include images makes it possible to create detailed comparison tables as well. No matter how you create your tables, they’ll always be responsive so you don’t lose out on mobile traffic. Arena Products Store is a bit more full-featured than many of the other plugins on this list. It aims to create a whole store, rather than just comparison tables. But the plugin also includes a nice comparison table feature, so that’s why I’ve included it here. You can set up general product attributes and then choose which of those to include in your comparison tables. You can also publish your own comparison tables or allow users to create their own by clicking a “Compare” button. If you just want a lightweight comparison table plugin, Arena Products Store is probably not for you. But if you’re looking for a full-featured way to display and compare your products, give this plugin a look. Arena Products Store costs $36 at Code Canyon. Easy Pricing Tables is a freemium WordPress plugin that lets you create responsive pricing and comparison tables. Easily create tables without knowing any code. Customize fonts, colors, and borders. Reorder columns via a simple drag and drop function. Feature your recommended pricing column. Add custom CSS (if needed). Tooltips when users hover over pricing options. 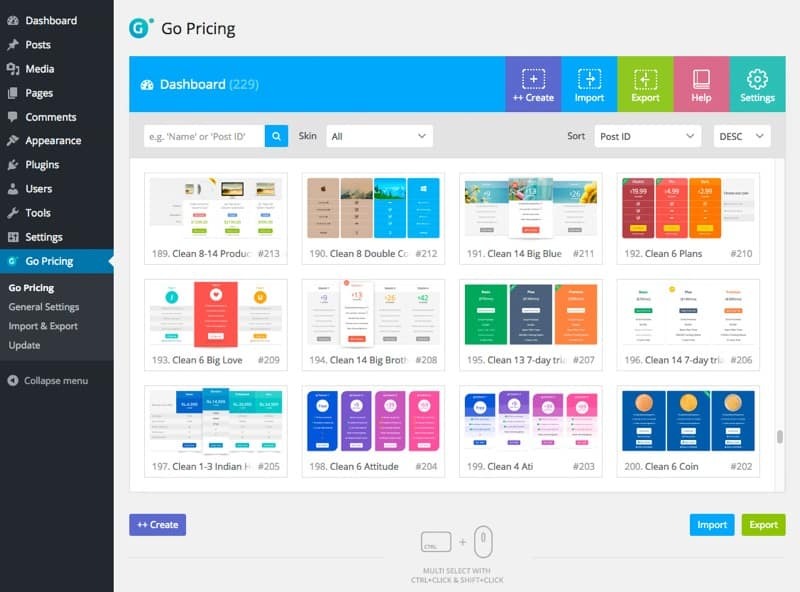 The premium version costs $29 for one site, and $99 for unlimited sites. 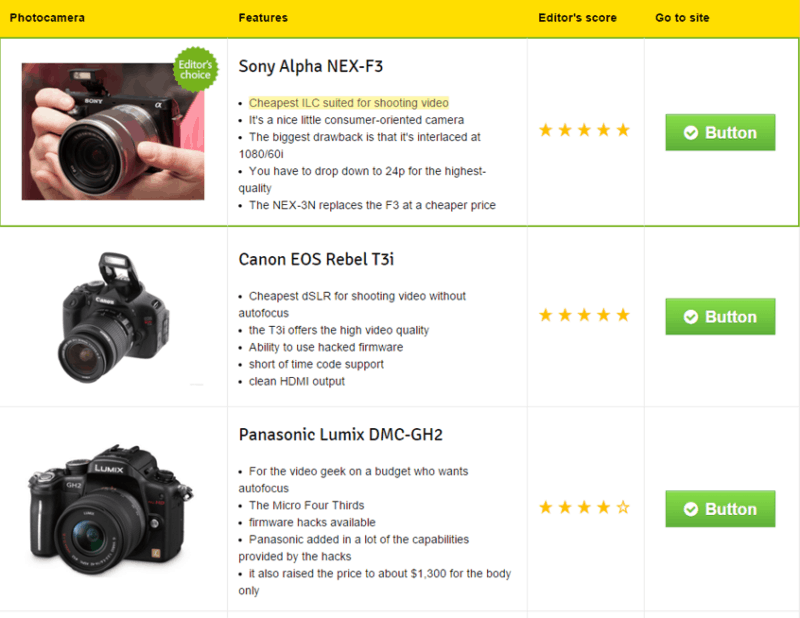 If you’re looking for the most feature-rich comparison plugin, I think WP ComPEAR is your best option. If you just want to create beautiful tables fast, you can go with Go Pricing for its 250+ templates. And if you want a free option, I think Easy Pricing Tables or Pricing Table by Supsystic are your best bets. Those are just general recommendations, though. Your specific situation may well require one of the other plugins. Let me know which comparison plugin you are using on your website. Have you used any of the ones on this list? Share your experience in the comments below! Easy Pricing Tables is hands down the best pricing table plugin for WordPress. Trust me, I have used dozens of them over the years so I know what I am saying. Can I create a product comparison list using Table Maker Plugin? I don’t think Table maker should be use if you are making a money website. Look for the other options listed above. All are an amazing plugin. I am now only using Table Press for creating a list. I bookmarked this post because I need to visit again n again here. I had to comment because post actually helped me set up a wedding photography package on my site. Thanks a lot Harsh. You have saved me a lot of stress of looking for suitable Table Maker Plugin for my blog. I will go for Table Maker as it has almost all the functionalities i really need for my niche blog. Thank you for sharing the name of those plugins. It is very helpful for me and many other new bloggers. I’ve seen sites (like a product review site) when the author lists prices at 3-4 locations (e.g. Amazon, Best Buy, Ebay, etc.) and those prices are dynamic. I was hoping this article would highlight such a plugin, but I didn’t see it on any of the links. From what I understand, these types of plugins are “data feeds” and they’re subscription only (e.g. $20/month) kind of thing. Have you seen such plugins and if so, what do you recommend for someone running a product review business online? Are any free or cheaper than others? Table maker seems to be the best free plugin for creating responsive tables, price comparison charts, product listing etc. But, it seems the users are facing data loss whenever they update the plugin. I will definitely go for Table Maker if they are going to add the import/export feature anytime soon. While few best plugins need pro license for adding images, making table responsive, it’s the Table maker stands out of the crowd.